It’s been a week since several windows at the much-loved Precita Park Cafe were shattered in a disturbing barrage of late-night gunfire. Impressively, the damage was quickly repaired, so that virtually no trace of the incident remains. Less impressively, the SFPD says they have few leads in the investigation. 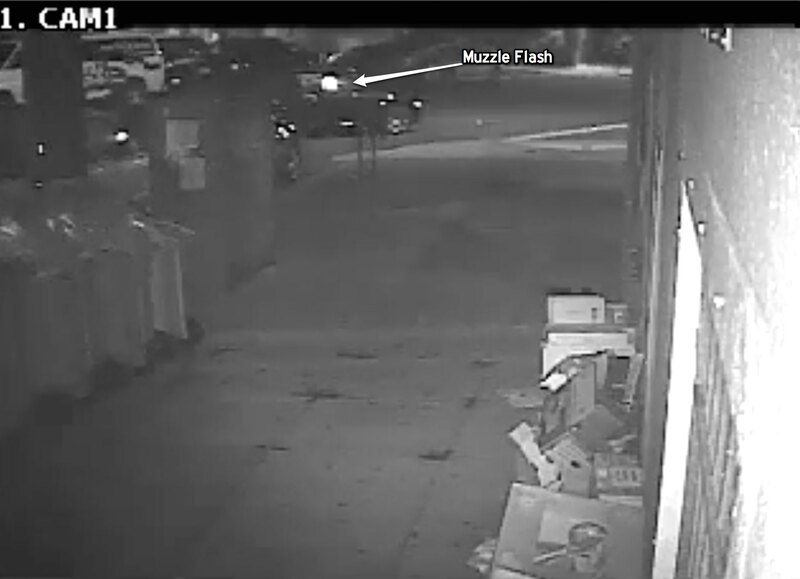 Here’s a development: Bernalwood has reviewed security camera footage that shows how the incident unfolded. It happened at 4:43 AM. The shooting was a drive-by, and the passenger fired the weapon. It was over within seconds. Want to play high-tech sleuth? Use your own combination of algorithms to zoom and enhance the video. Can you identify what kind of car this is? As I viewed the video, it very much looks like a Chrysler 300. I was gonna’ say Dodge Charger, or a Chrysler of some sort for sure. Were they shooting at people or just windows? I agree, probably black Dodge Charger judging by the trunk and tail lights. Fancy rims as well. I’d say PPC need to get more cameras, these angles are pretty useless. The car would have been captured coming down Alabama Street also, I’d recommend people check their own cameras for footage. Nah, watch the headlight pattern at 0:01-0:03. The car came down the South side of Precita park, turned left onto Alabama, then right onto Precita in front of the cafe. If there are other cameras that caught this car, they’d be on Precita, not Alabama. 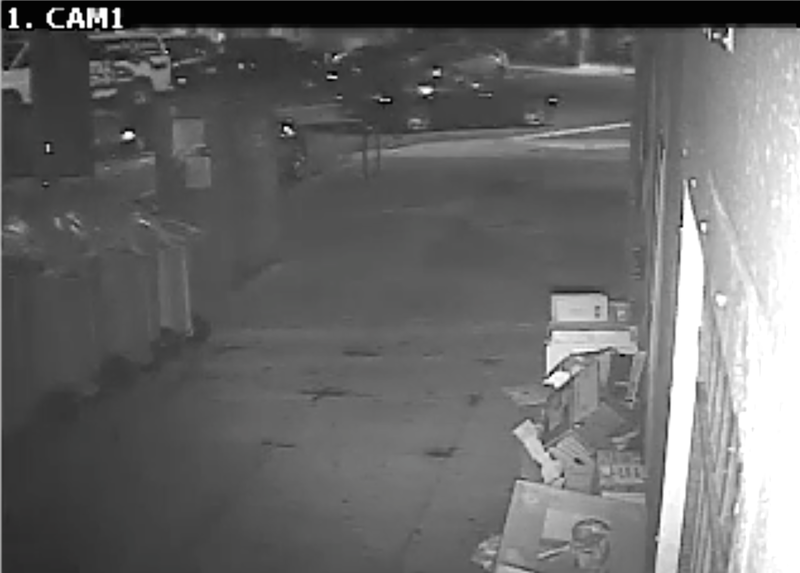 Time for Precita Park Cafe to invest a few bucks and in a decent security camera. The shooter could be standing directly in front of the window and you still wouldn’t be able to make out enough detail to make an arrest. exactly – you can’t see any details! Don’t they make better security cameras? At 00:06 the car turns off their lights, so the tail lights that are visible are the rear reflectors. I think the rear reflector pattern rules out a Dodge Charger or Chrysler 300. Maybe others can help research – we’re looking for a fairly distinctive pattern of horizontal strips on either side of the rear. The car also looks like a coupe, not a sedan. Realistically it doesn’t really matter if they catch these fools or not. It’s a property crime. They’ll get a shaming glare from a judge and a slap on the wrist and will be ready to shoot up something (or someone) else the next day. There is an apartment above the cafe, so it is legally an “inhabited dwelling house” and therefore, if convicted, they get to spend 3-5 years in a state prison, or 6-12 months in the county jail. Not exactly nothing, and the law doesn’t see this as just a property crime. Diana, the police station has a monthly community meeting. As it happens, the next one (Oct 20, 7pm) will be at the Bernal Heights Neighborhood Center, 515 Cortland. Please attend! Also, SFSAFE sets up neighborhood watch groups, and there are many in Bernal. You can join an existing one or start your own – it’s very easy. Just call 673-SAFE or go to http://www.sfsafe.org. I reached out to SFSAFE and found the experience terrifying. I’m sure they were just looking out for my safety but the precautionary measures they requested just to meet with them made me want to flee back into my home and lock all the doors and windows and never come out again. I walked away from starting up a neighborhood watch and don’t plan to go back.